And all the love was out there, waiting. Cluster migraine, a moment of painy poetry! But as a cluster migraine goes oooon and oooon for days (and sometimes weeks) and being online for a while is actually a helpful distraction during the lesser-uber-pain periods. In fact I spent some of my lesser-migraine time writing this….!…. I’d like this one to reach an end. Battling over and over again. Will ease it off for just a sec’. Another attempt to boot this daftness. I want to be up, all tappity dazzle. But it’s not gone yet, sooo totally poo! But I’m still here though! Gotta move, it’s physio time for me….! Housewifey organisational dilemma (where’s my birthdays book?)! In every cranny, every nook. Under the stairs, the book-shaped space. 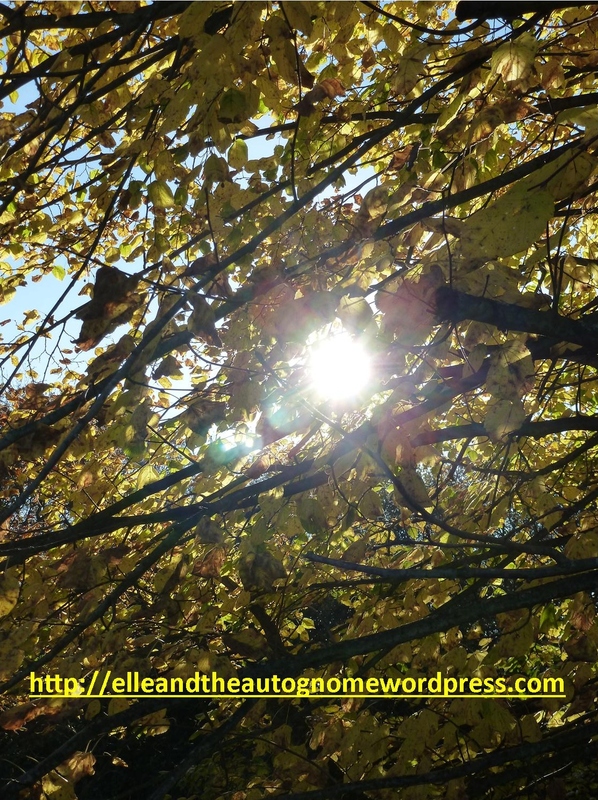 Carefree Realists Purposefully Serene – yup, full of contradictions, just like CRPS! Others who are more ‘qualified’ than you? A pathway through the minefield. Sear and sing within my heart. I’m ‘me’ all the same. Shining light throughout the fear. 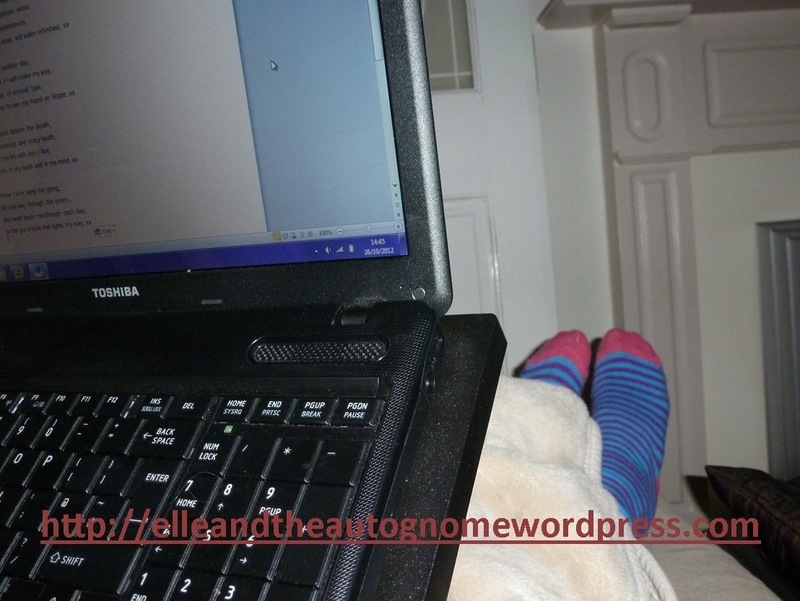 So you see, through this poem,..
Good ole sofa and laptop combination! After writing this I wandered upstairs to bed to give the ‘sleep’ thing a go. Whilst I was lying there trying to convince my body to go into uber-relax mode I remembered that the lovely Carly had done the same thing, as she posted her own poem on here one night when she also could not sleep. (Carly’s poem is in the comments section on this link for you to read and it is beautifully positive). I write the occasional poem, but I don’t do it seriously, just for a bit of fun, or as an outlet. It’s a great way to get our emotions out. Sometimes we manage to say in a poem what we’d struggle to say otherwise. And the way a poem has an ending gives us a current summation point that we just don’t often get to experience in the middle of our ongoing lives. It breaks up the relentlessness into more manageable and simplified chunks. Sometimes it may even be easier to give our loved ones an insight into the personal experience of our conditions through poetry, it tends to cut to the chase and trim away all the extras. Why not try it yourself? Whether you are living with a condition or not, whether you’ve met me in the 3D world or online, whether you want to write a poem about deep and meaningful stuff or about the simple joys of tea and sunshine. The style, length etc can be whatever feels right, why not give it a whirl? For a bit of fun! I’ve been delving (briefly) into the world of Haikus. Haikus are a type of Japanese poetry that date back to the end of the nineteenth century. In the western world haikus are simply three lines that consist of 5 syllables, 7 syllables and 5 syllables, respectively. They don’t have to rhyme, and their simple format is intended to add something intangible to the experience of the poetry. The Japanese language is so different to English that there is some argument that to attempt to achieve a similar effect the 5-7-5 syllable format should be reduced to a 3-5-3 format, which gives you some idea of how brief an entity they can be. During a bout of insomnia I came up with the following daftness. (It was really good at getting my brain to switch off and let me sleep, too! Who needs to count sheep when you can count syllables?)! But it helped me, too. Worth his weight in tea. Originally graduated in applied social sciences and art. Then worked in admin’ and customer services for 7 years. During which time CRPS developed at age 24, starting in the right knee and quickly spreading through both legs. IBS developed within weeks of injury. Later retrained in psychology for a degree accredited by the British Psychological Society, whilst also shifting from crutches to wheelchair, but forced to give up work owing to the pain in my legs. Other autonomic issues cropped up including temperature dysregulation and a tendency towards low blood-sugar. Finally diagnosed with CRPS at age 30. With physio’ ‘pacing’ of daily activity, eventually managed 6 hours/week volunteer work as an advocate for a handful of weeks until moving home. The effects of moving to a different county set the health going downhill again and the baseline wouldn’t improve. Continued into post-grad’ study, but stopped partway owing to severe CRPS pain flare. Determined personal physio’ programme improved matters until the ANS decided to get extra silly and create even more health problems. Neuro’ downslide for a couple of years before it got full-on with a trigger at age 34, respiratory issues and more. The CRPS had spread through main body to shoulders and neck, and random external triggers set off other autonomic issues along the way. Despite this, the study got underway once more to complete the masters degree in research. The clock was ticking and I had only one year remaining to complete the final module. So it was either try or give up. I decided to try. (June 2013 update: the results are in… it’s a pass :-D ). • A contact in the informal global network of CRPS and Dysautonomia patients. • A supporter of open access to research and the sharing of useful information. • An administrator in two onlineCRPS support groups. • And proponent of physio’ ‘pacing’ to reduce amplification of ANS pain signals. (One day it would be nice to bring the art back into play, too)! The intention of this weblog is to share experiences, research information, and to support and encourage self-advocacy, but not to provide medical advice in place of a doctor. Any adverts on this site have been added by Wordpress and have not been chosen or endorsed by the author.